When Charlotte Brontë sat down to write Jane Eyre, she didn’t know she was writing a major work of literature. The gothic novel about a governess’s romance with the brooding Mr. Rochester was an instant classic in its time and is still much loved today, 168 years later. After all, who can resist a tale featuring a madwoman locked in an attic? 1. Like Jane, Brontë Worked As A Governess. Jane Eyre was a provincial girl hired to work as a governess among strangers. So was Charlotte Brontë. In 1839, the wealthy Sidgwick family employed Brontë to live in their country estate and educate their children. She hated the job, writing, “I had charge given me of a set of pampered, spoilt, turbulent children, whom I was expected constantly to amuse, as well as to instruct.” She became depressed and withdrawn, causing Mrs. Sidgwick to scold her. 2. The Madwoman In The Attic Was Inspired By Real Life. That same year, Brontë visited Norton Conyers House in North Yorkshire. There she learned that 60 years before, a mentally ill woman had been confined in “Mad Mary’s Room” in the attic. The story was inspiration for Bertha Mason, Rochester's insane wife. In 2004, the owners of the house discovered a blocked staircase connecting the attic and the first floor, just like the staircase described in the novel. 3. The Harsh School Jane Attends Was Also Based On Experience. 4. Helen Burns Is Based On Brontë’s Sister, Maria. Like Helen Burns, Jane’s friend who dies at Lowood, Maria Brontë was neglected and abused when she got sick at school. Brontë’s biographer Elizabeth Gaskell wrote that when the child wanted to rest in bed, a teacher “took her by the arm, on the side to which the blister had been applied, and by one vigorous movement whirled her out into the middle of the floor, abusing her all the time for dirty and untidy habits.” Both Maria and the second-eldest Brontë daughter, Elizabeth, contacted tuberculosis at the school and were sent home, where they later died. 5. Brontë Wrote The Novel While Nursing Her Blind Father. While Brontë was writing Jane Eyre, her father Patrick had a pre-anesthetic operation to have cataracts removed from his eyes. He was left blind and helpless while his eyes healed. It’s no coincidence that Rochester is blind at the end of the novel, and that, like Brontë’s father, he eventually regains his sight. 6. Before Mr. Rochester, There Was The Duke Of Zamorna. 7. Love Triangles Were All Around Her. When Jane discovers that Rochester is married to Bertha Mason, she leaves him rather than commit bigamy. In real life, not only was her younger brother, Branwell, having an affair with a married woman, Charlotte herself had fallen in love with a married professor named Constantin Heger. The crush was unrequited—Heger even tore up the love letter Brontë wrote him—but the situation may have inspired aspects of Jane and Rochester’s relationship, as well as the novel Villette. 8. She Was Forced To Apologize To Her Cruel Schoolmaster. When Jane Eyre became a success, Reverend Wilson recognized himself in the character of Mr. Brocklehurst and threatened to sue Brontë. She avoided a lawsuit by writing him an apology. Wilson’s grandson described it as a “sketch … retracting a good deal of what she had formerly written about the school in Jane Eyre.” She even gave Wilson permission to publish this sketch under her name. Curiously enough, he never did. The apology has since been lost. 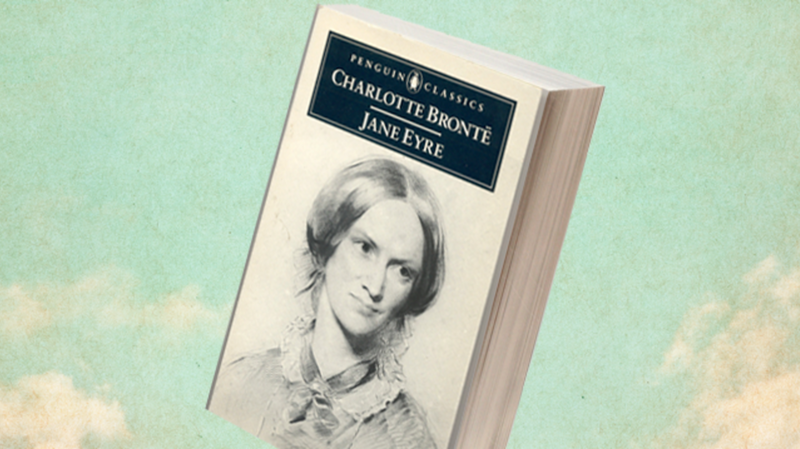 9.Jane Eyre Was Published Under A Male Pseudonym. In 1846, Anne, Emily, and Charlotte published a poetry book under the pseudonyms Acton, Ellis, and Currer Bell. They knew they would be taken more seriously if the public believed that they were men. Charlotte also published Jane Eyre under the name Currer Bell. When it became a bestseller, the literary world became consumed with learning more about the mysterious Bell brothers. 10. Even Her Publisher Didn’t Know She Was A Woman. Neither Mr. Smith nor Mr. Williams knew we were coming—they had never seen us—they did not know whether we were men or women, but had always written to us as men. "Is it Mr. Smith?" I said, looking up through my spectacles at a tall young man. "It is." I then put his own letter into his hand directed to Currer Bell. He looked at it and then at me again. "Where did you get this?" he said. I laughed at his perplexity—a recognition took place. I gave him my real name: Miss Brontë. A year after Anne and Emily died, Brontë outed all three of them as women writers in the preface of the combined edition of Wuthering Heights and Agnes Grey. You can read the whole thing here.